Netflix’s growing stable of comic book shows is getting a little bigger next year: after being rumored late last week, the streaming service has now confirmed it’s got plans to adapt Gerard Way and Gabriel Bá’s dysfunctional superhero comic for TV. The 10-part series will be made for Netflix by Universal Cable Productions and Dark Horse Entertainment, who published the original series—about a former superhero team of siblings who desperately try to put aside their deep divisions in order to solve the mystery of their adoptive father’s death—in 2007. Unfortunately, there’s not much else in the way of news about the series other than the season length and a projected premiere date. 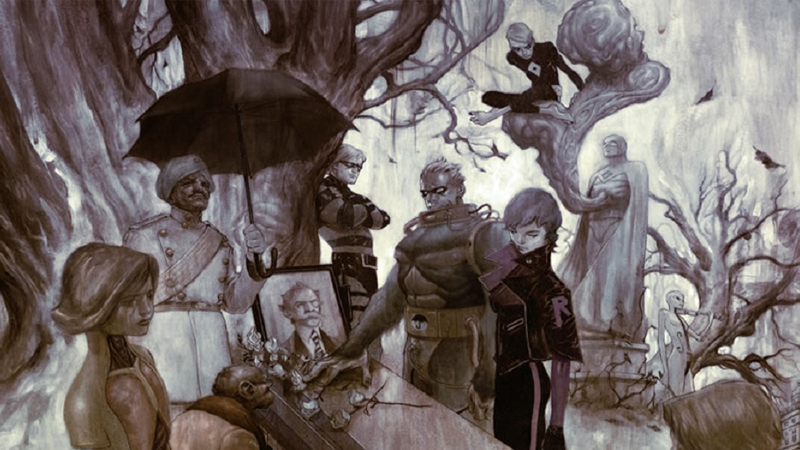 But even then, Umbrella Academy represents a big step forward for Netflix as it expands and diversifies the scope of comic book-based content it’s making—away from the Marvel stable we’ve seen in series like Daredevil and Jessica Jones and into a much wider world of stories available to them. Umbrella Academy is set to hit Netflix in 2018.